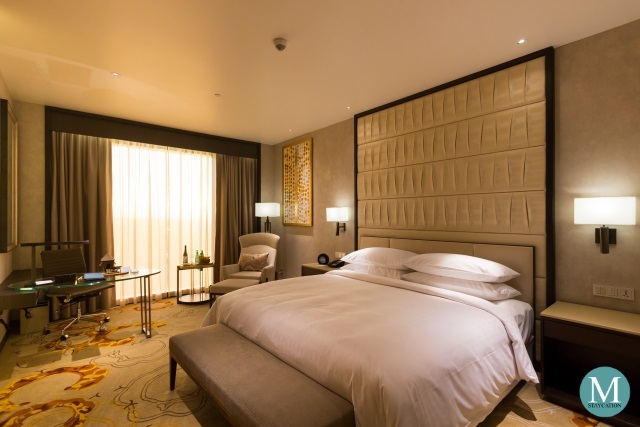 The Deluxe Room is the lead-in guestroom category of Conrad Guangzhou (广州康莱德酒店). 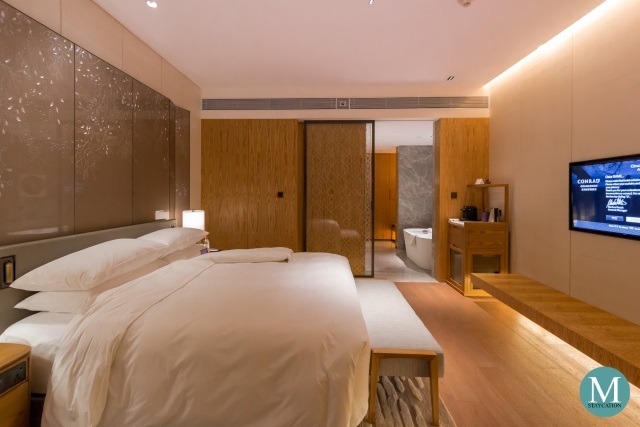 Measuring 49 square meters, the Deluxe Room is available in different bed configurations (king-, twin-, two queen-bed), with a choice of a view of the city or of the Pearl River. 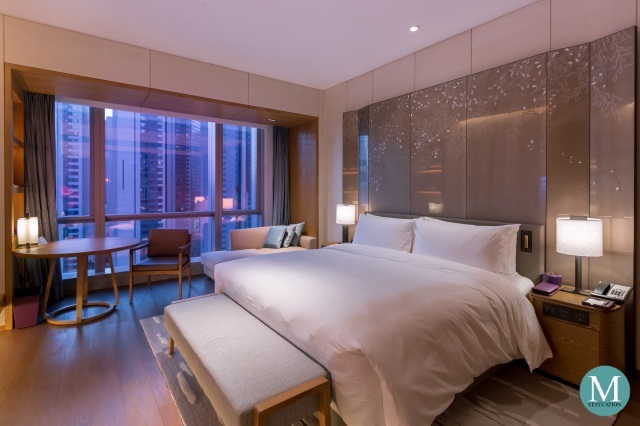 I spent a weekend at Conrad Guangzhou during my first visit to Guangzhou in December 2017 where I stayed in a King Deluxe Room River View. 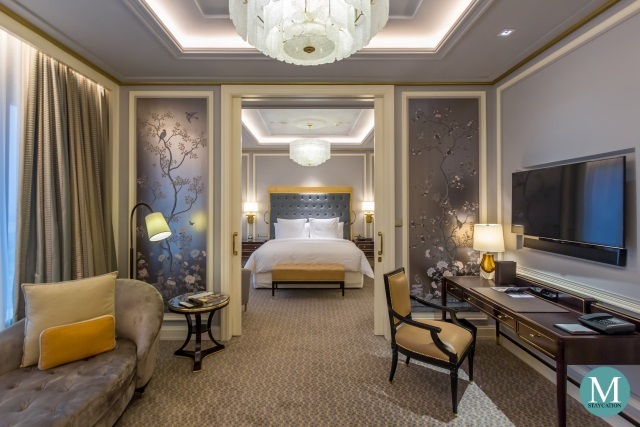 The interior design of the Deluxe Room is inspired by the Xiguan houses of Guangzhou. Resembling the structure of a bamboo, the room is long and narrow and is divided into interconnected chambers. Upon entering the room, the main door leads to the foyer which houses the closet and the separate lavatory. 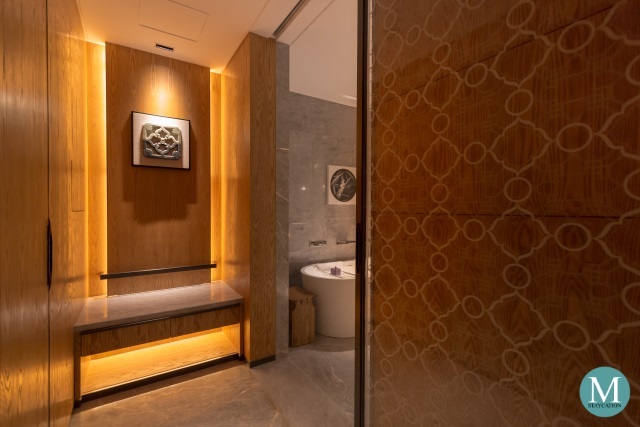 A glass sliding door then leads to the antechamber which serves at the bathroom. When the glass doors are closed, the antechamber becomes a separate room on its own. Another glass sliding door separates the antechamber to the main chamber (the main bedroom). 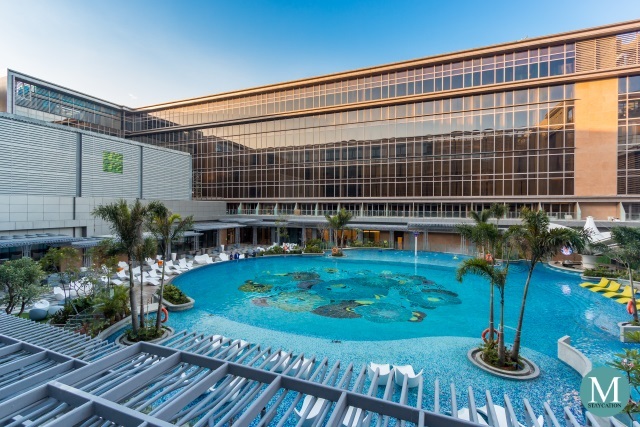 Highlight of the room is the panoramic view of the Pearl River and the iconic Canton Tower. The main chamber of the King Deluxe Room River View is furnished with a king-size Serenity Bed, two bed-side tables, an end of bed bench, a sofa, a round wooden table, a parson chair, and a minibar cabinet. 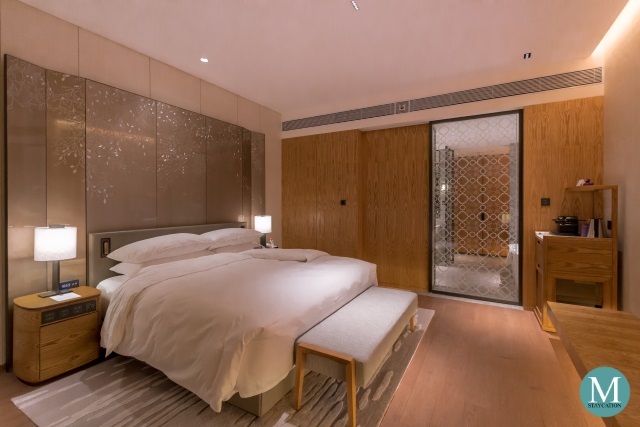 The interior has elements of both Lingnan design such as the geometric patterns of the glass sliding door and the relief carvings of the bed's feature wall. The Serenity Bed is definitely the most important feature of the room. The mattress had the perfect combination of firmness that evenly supports the weight of the body, but soft enough to adjust to the contours of the body. The bedsheets and the duvet cover are made with 400-thread count high quality cotton which is super soft to the skin. Guests can also choose their preferred pillow from the pillow menu. Controls to the curtains and the lights are conveniently located next to the bed. 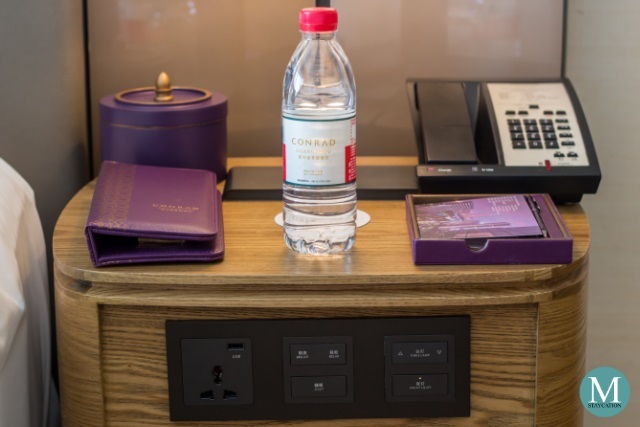 There is also a universal power outlet and a USB port where guests can charge their smartphones or tablets while sleeping. 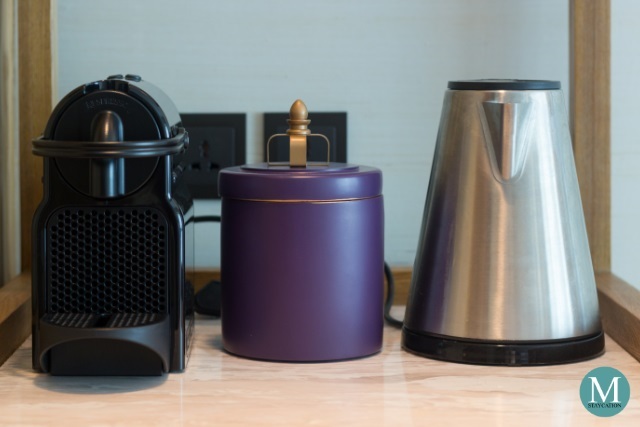 One remarkable fact about Conrad Guangzhou is that all of their 309 guestrooms and suites are equipped with a Nespresso coffee machine, this includes all the Deluxe Rooms. 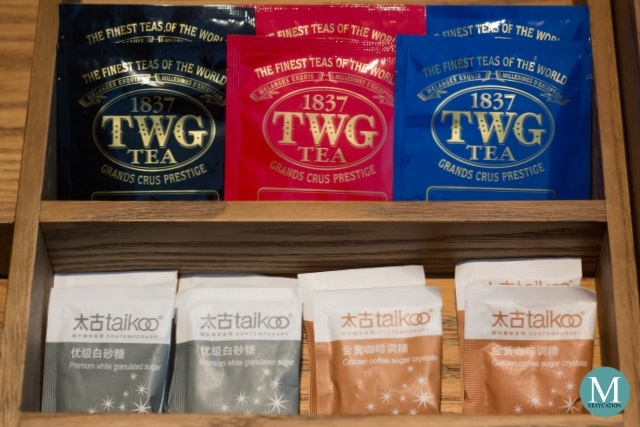 In addition, there is also an electronic kettle which guests can use to heat water for their complimentary TWG-branded tea bags. The room is also equipped with a widescreen television with local and international cable channels. High speed wifi internet connection is also available inside the room. Mobile phone and data signal are also strong inside the bedroom. I also love how the bathroom was designed. Simple colors of greenish grey marble and white tiles are used consistent with the classic Lingnan style of houses. The glass sliding doors are effective in keeping the cool air inside the bedroom and out of the bathroom. 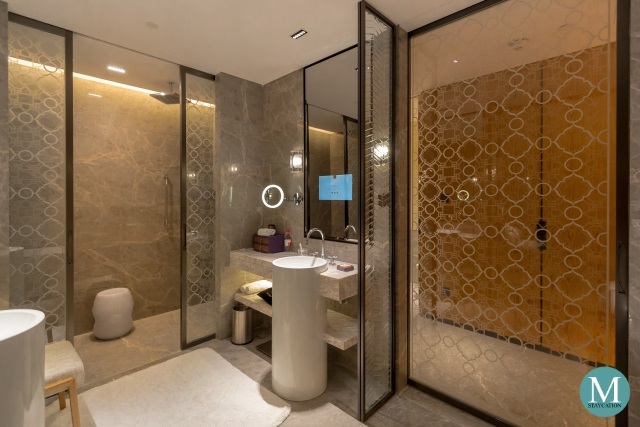 One cool feature of the bathroom is the smart mirror which is basically an LCD screen behind the mirror. 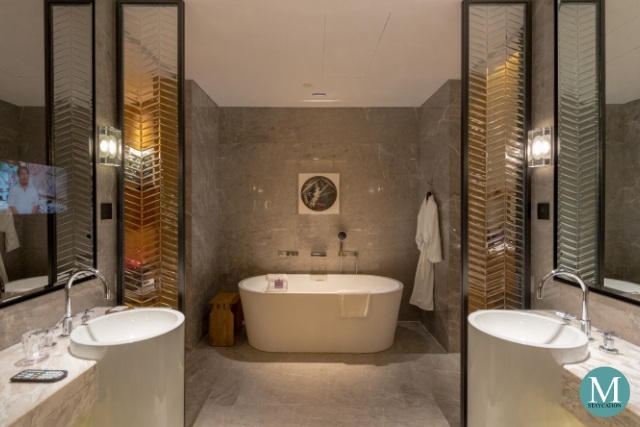 While this state-of-the-art feature is only reserved for suites in most luxury hotels, Conrad Guangzhou has made it available in all of its guestrooms and suites. The spacious bathroom has a separate walk-in shower which on its own is more than spacious enough for one person. 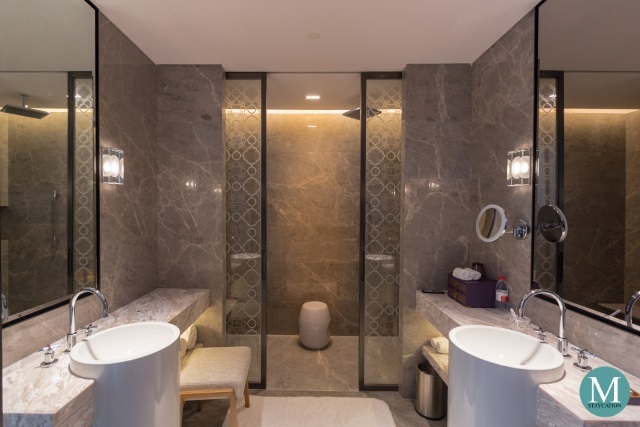 The Xiguan design concept is also expressed in the bathroom with two glass sliding doors separating the shower area to the main bathroom. The bathroom also has a his and a hers vanity, each having its own basin, a spacious granite countertop, and and ultra-wide mirror. Opposite the walk-in shower is the free-standing, deep-soaking bathtub. Hot and cold water is available at the shower, bathtub, and the faucets. Water pressure was consistently strong. Water temperature is also easy to regulate. Once set to your preference, the water temperature remains constant. 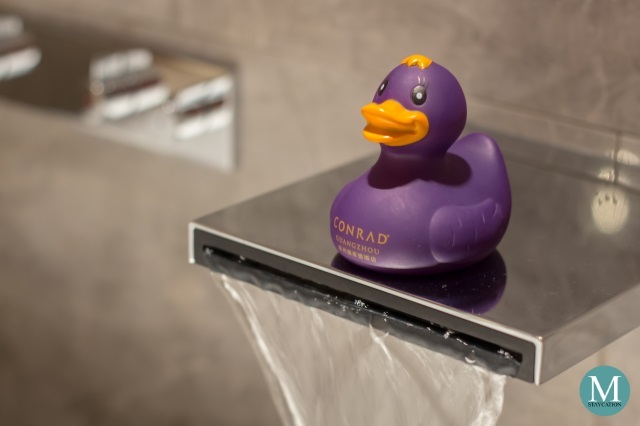 Just like in many Conrad hotels and resorts, guests at Conrad Guangzhou are provided with a purple rubber ducky which can be brought home as a souvenir. If you are a Conrad fan who collects these rubber duckies as memorabilia, this purple rubber ducky should definitely be part of your collection. 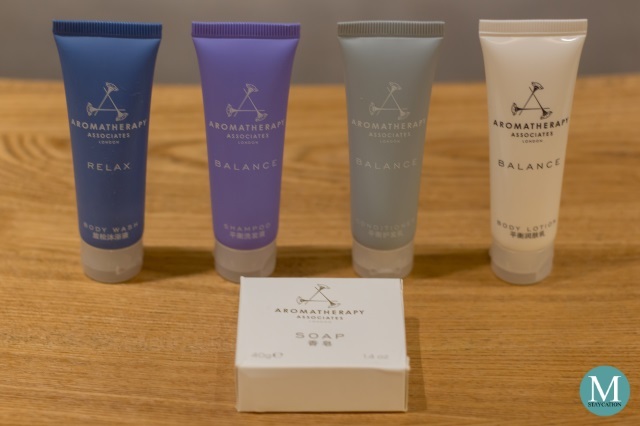 Bathroom amenities by Aromatherapy Associates are provided by default in all guestrooms and suites. 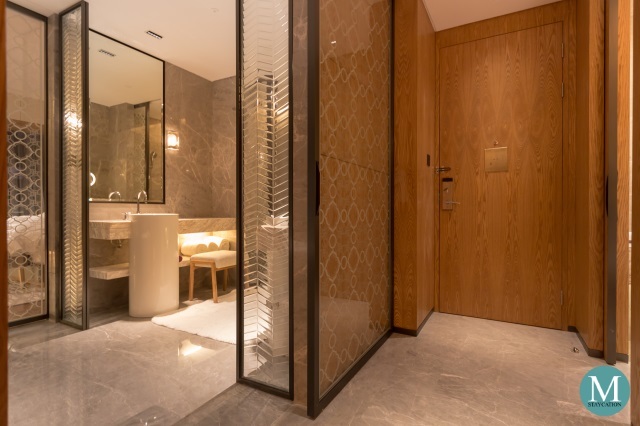 But just like in any Conrad Hotels and Resorts, guests have the option to switch to another brand of toiletries. In addition to Aromatherapy Associates, other choices of brand include Tara Smith, Shanghai Tang, and Refinery. My personal favorite is Aromatherapy Associates.